When you have children who are going great things and you never give them any praise, you deserve to be called ungrateful parents. You should show your children who are doing wonderful things how much you appreciate them. You could have children who have dropped out of school, on drugs, selling drugs and/or etc. but they are not. Don’t simply say the reason they‘re not doing unbecoming things is you reared them effectively. While you may have done an excellent job rearing your children, this does not mean that they had to make good decisions. They had free will to make horrible decisions and live a life that would bring you shame. Too often children who always get into trouble receive the most attention from their parents—while the children who are doing honorable things are overlooked. This shouldn’t be a reality in many homes. Take time to show your children you love them and are thankful for the positive things they do. When your children see you’re not going to give them any special recognition and attention for the noteworthy things they do, then they can turn to doing negative things as a means of getting your attention. Children know poor behavior gains attention from their parents. Your children want to know they have your attention. Don’t work your children like they are your slaves. Your children are not your slaves! When they do things around the house to make a valuable contribution to the workload, let them know you appreciate what they do and do something special for them from time to time to prove your appreciation. When your children bring home good or great grades, this is a big deal and you need to show them this is a big deal. Don’t simply act like getting good or great grades is what they’re expected to do without truly rewarding them for their grades. Classroom demands are increasing for students and their great work needs to be acknowledged and rewarded. Everyone likes to be acknowledged and rewarded at some point. It’s quite understandable for a child to want to receive praise and incentives for the great work they do at school and home. Learn to listen to your children before it’s too late. Your child can be considering suicide and you not even know because you’re too busy fussing and/or cussing at him or her about some inane matter(s). When you talk to your children, you can learn about their problems, fears, dreams, and etc., which can help you to be better able to lead them on a path to success and aid them in proper development. After the mass shooting at Sandy Hook Elementary in Newtown, Connecticut that left many young children dead, this should reveal to you how important it is to treasure each moment with your children. When your child goes to school and you’re at work, it’s not guaranteed that he or she will return. Every opportunity you have to love on your child should be seized. I was just inspired to say that I think it would be really nice for you to do something special for your children today. It does not have to be something major—just do something special for them today. Our children are our greatest assets and we need to honor them as much as possible. If you don’t take that much time out to listen to your children, take a moment today just to talk to them to see how they are feeling, what may be worrying them, what they like most, and/or what is the greatest challenge they face. You may be surprised at what you discover. If God has given you a child, He has given you the greatest blessing you can expect to receive. If you want your children to do better, then you are going to have to have the faith to believe that they can do better. Our children need our full support and unconditional love. Stop saying that your children are bad and just pray for them to improve. If you keep telling your children that they are bad, they will certainly become bad and never stop being bad, because you spoke this into their lives. Don’t say that you don’t have the money to do something special for your children today. It does not take any money or much time to tell your children how much they mean to you and how much you love them. 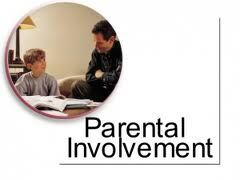 During this school year, try to become more involved in your children’s education. From my own experience, I know that having involved parents in my education made a significant difference in my educational experiences and outcomes throughout the K – higher education educational pipeline. No matter the age of your children, they are still precious. God gave you the children in your lives to treasure, cherish, and protect, so please make sure you take care of them properly. Don’t let anyone come between you and your love for your children. Again, do something special for your children today!